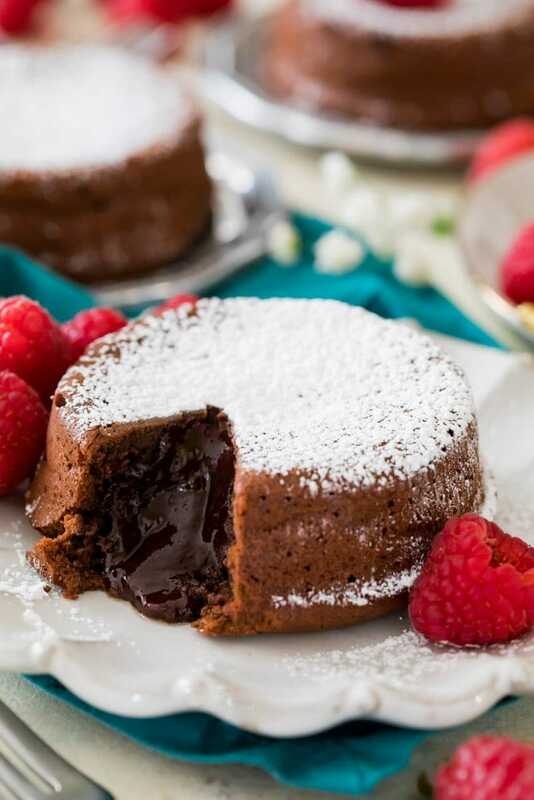 A decadent but simple Chocolate Lava Cake Recipe! With just 6 ingredients you probably already have on hand, I think you’ll be surprised how easy this recipe really is! I’ve included plenty of tips in today’s post, and be sure to check out my step-by-step video just below the recipe! I’ve shared a lot of decadent chocolate desserts in the past, from chocolate pie and chocolate pudding to my favorite homemade brownies and chocolate cake, but this is by far the most decadent yet! Soft, cakey exteriors. Molten liquid chocolate interiors. Decadent, rich, and easy to make! Yes, really! Lava cakes are so easy to make it’s almost a crime that I didn’t share this recipe sooner. For the longest time I just assumed lava cakes would be a complicated and finicky recipe to master. Surely there was some kind of secret trick or technique; a matter of carefully dissecting miniature cakes and surreptitiously sneaking in a pool of lava? How does one even do that, anyway? It wasn’t until I was thumbing through a coupon book from my grocery store that I saw a recipe for lava cakes and my jaw actually dropped. Really? That’s it? There’s no secret technique, no finagling pots of chocolate lava into tiny cakes (go figure), just a matter of using the right ratio of flour to chocolate and eggs (we’re going to use two whole eggs then two yolks, save the whites to make a batch of meringue cookies!) and baking on the right temperature for the right amount of time. With a newfound understanding of lava cake basics, I set out to make my own lava cake recipe, and after lots of testing, I have a simple, very chocolatey recipe that I’m excited to share. Let’s get to the tips. Don’t Let Your Oven Lie To You! Cooking Lava Cakes can be a little tricky. 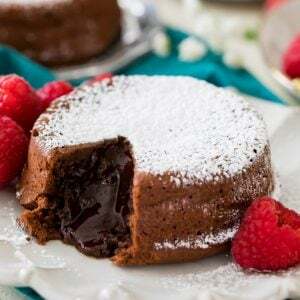 It’s important to cook them thoroughly enough so that the batter in the center (which contains eggs) is safe to eat, but not so much that you cook up all of that rich chocolate lava. In order to achieve this, we are going to bake them for a brief amount of time on a very high temperature. This will give us a cakey, baked exterior and our molten lava interiors. You’re going to need to preheat your oven to 450F (255C) before you begin baking. It’s very important that your oven is actually at this temperature before you start baking your lava cakes. My oven takes 15-20 minutes to get to temperature, and it’ll often “beep” that it’s preheated and ready long before it actually is. I keep two inexpensive oven thermometers hanging in my oven to make sure the temperature is accurate at all times. My current oven runs much colder than it lets on, and I once had an oven that ran 25 degrees hotter than it said it was! 25 degrees too hot will leave you with lava-less cakes in a hurry! How Do You Know When Lava Cake is Done? The edges should be firm and will have a cake-y appearance. This cakey layer will look like a ring around the molten center. Your lava cake centers will be jiggly and will appear under-done (that’s because they’re supposed to be lava-esque!). 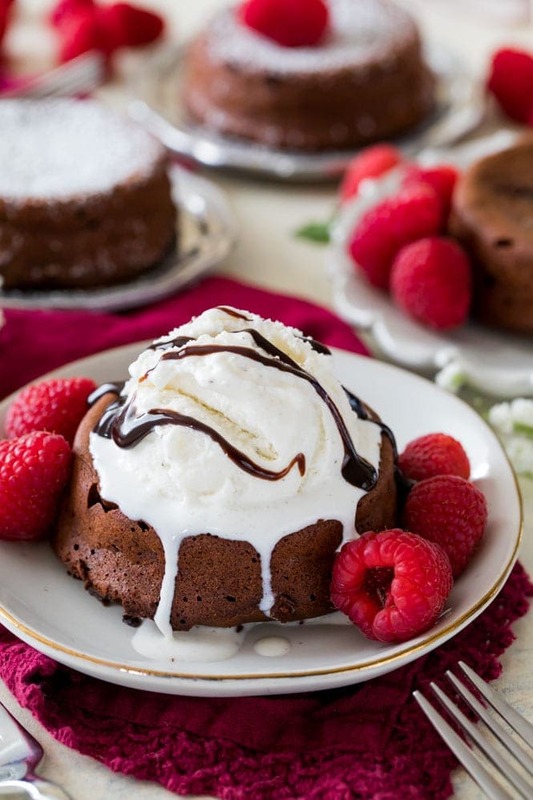 Don’t overbake your lava cakes or there will be no lava when you dig in! Worried that your lava cakes aren’t safely baked in the center? You can always use an instant read thermometer inserted halfway into the center of the cake. If the temperature reads 160F (72C), your lava cakes have been heated enough to be safe for eating! 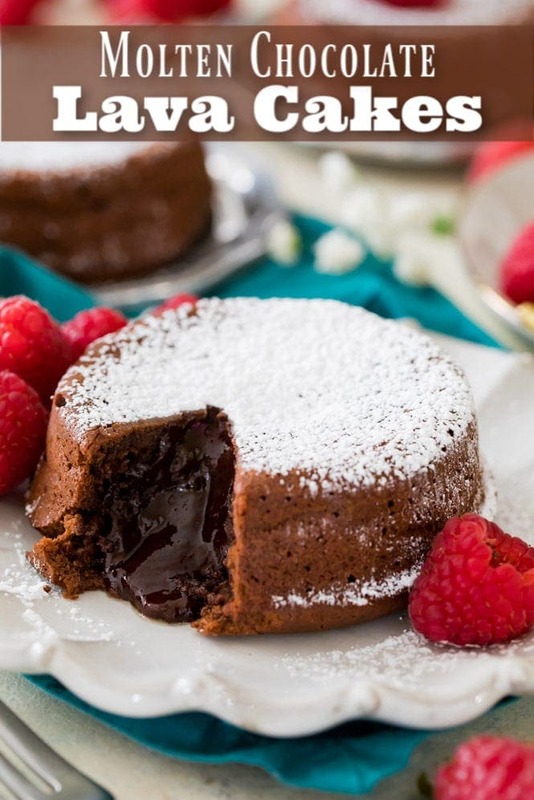 Let your lava cakes cool for just several minutes before inverting onto a plate and serving warm. The top may cave just a bit, this is fine! That chocolate cake ring will keep the lava contained to the center, right where it’s supposed to be. For a pretty appearance and bonus taste, I always like to dust mine with powdered sugar or serve topped with homemade whipped cream or vanilla ice cream. Can You Reheat Lava Cakes? Personally, I believe lava cakes are best when served warm out of the oven. You can reheat them, but do so with care. The exact amount of time it will take will vary depending on the strength of your microwave, but if you cook these too much in your microwave you will actually cook up all of your lava! Start with just 15 seconds and then continue to heat with caution. 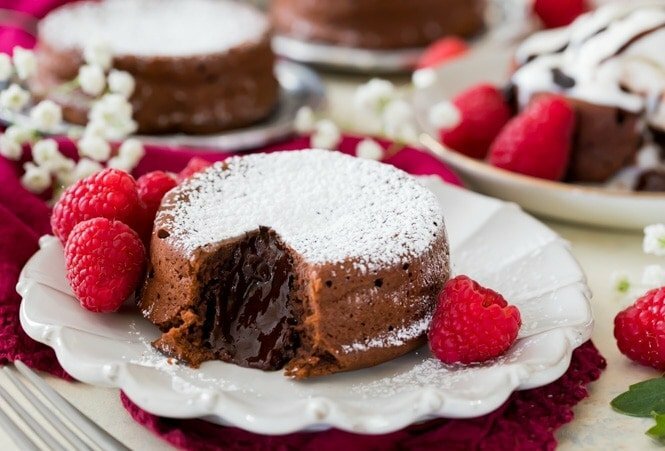 How to make homemade Chocolate Lava Cakes! Preheat oven 450F (235C) and prepare four 3 1/2" diameter ramekins by greasing the bottom and sides with baking spray (or lightly grease and flour). If you don't have ramekins, you can use a 6 count jumbo muffin tin instead (see notes). Set on a baking sheet and set aside. 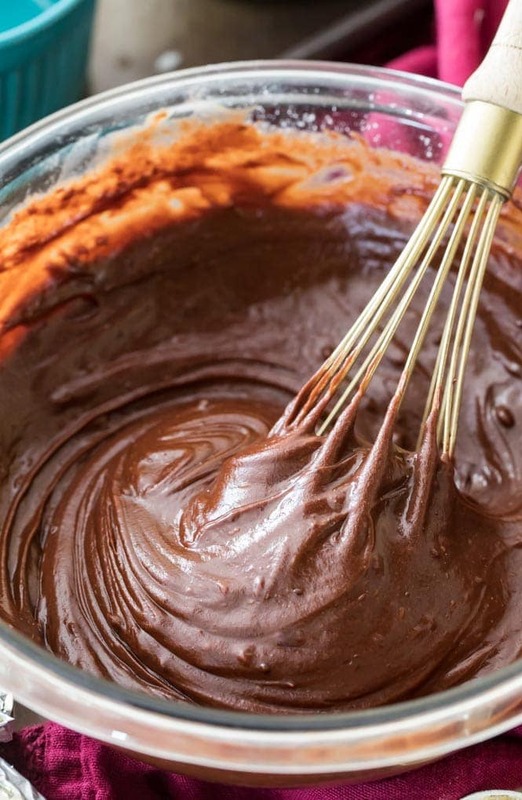 Combine chopped chocolate and butter in a medium-sized microwave safe bowl. Heat in 20 second increments, stirring very well in between, until chocolate and butter are melted and mixture is smooth. Add instant coffee and salt and stir well. In a separate bowl, combine eggs, egg yolks, and brown sugar. Use a whisk to beat vigorously for 15 seconds or until mixture is well combined and foamy on top. 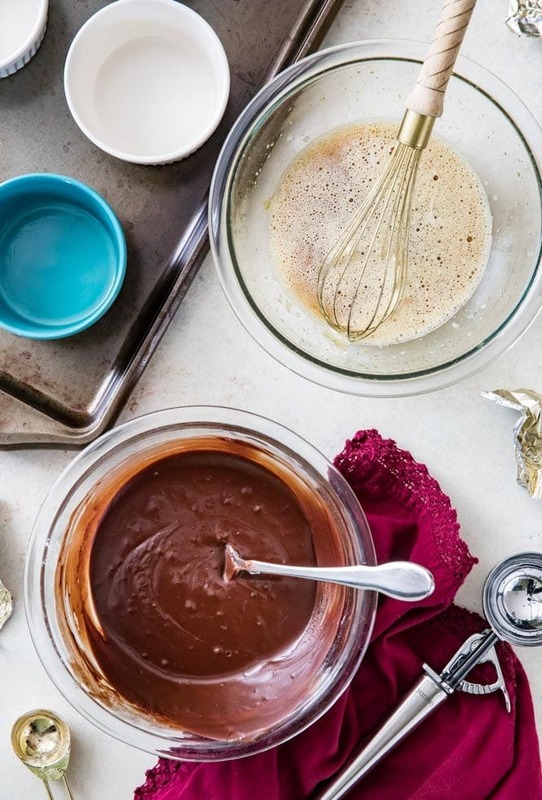 Add egg mixture to chocolate mixture and stir until well-combined. Sift flour over chocolate mixture and stir until combined. Evenly divide batter into prepared ramekins or muffin tin. Transfer to 450F oven and bake for 9-11 minutes if using ramekins and 6-7 minutes if using a jumbo muffin tin. Edges should be set and baked and look "cakey", centers should spring back to the touch but will be slightly jiggly and may appear under-baked. Allow to cool for 5 minutes. Run a knife around the edge of the lava cake to loosen it from its container then carefully (the ramekin will be hot! use an oven mit!) invert onto a plate. Serve warm (be careful, the "lava" inside is HOT and may need another 5 minutes or longer to cool) topped with a dusting of powdered sugar or a scoop of vanilla ice cream. *If you don't have ramekins, you can use a 6 count jumbo muffin tin instead (because of the smaller size of the muffin tin cavities, the recipe will then yield 6 cakes). They will need to bake for about 6-7 minutes this way. 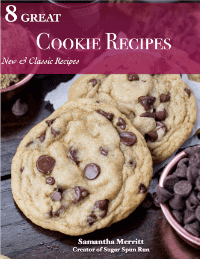 **I've tried this recipe with semisweet chocolate chips (1 cup) instead. The lava cakes will still turn out but I personally felt they were sub-par in comparison to the ones made with premium chocolate bars. ***This doesn't make your lava cakes taste like coffee, it just accentuates the chocolate flavor. Highly recommend! Can you prepare the mixture ahead of time and how long can you let the finished mixture sit in the containers before cooking. Hi Larry! I have not tried letting it sit, I would be worried about some of the ingredients starting to solidify, like the melted butter. I wouldn’t recommend it. What over thermometer do you recommend? Hi, Shauna. I actually keep two different brands in my oven! One I bought for under $5 at my grocery store and this is my affiliate link for the other one. What is the volume of the ramekins, I am most concerned that my English ones will be the wrong size? I suggest, rather than flouring the ramekins use cocoa powder instead. That way you don’t get a white coating on the outside of the cakes when you turn them out. Yes, that would work too! Thanks for the suggestion, Heather!